Six revision exercises (vocabulary, grammar, comprehension) for younger/weaker students. 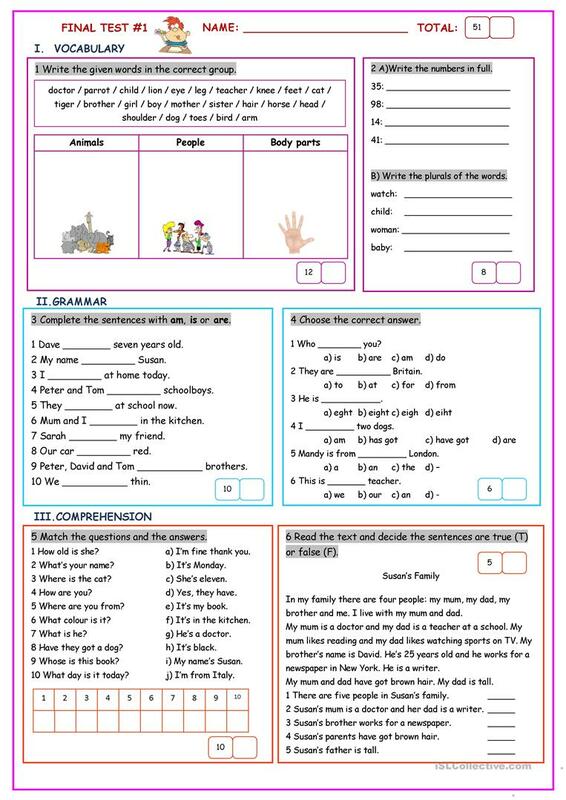 This printable, downloadable handout is intended for elementary school students at Elementary (A1) level. It is great for consolidating BE (auxiliary verb) in English, and is a valuable material for developing your groups' Spelling, Reading and Writing skills.